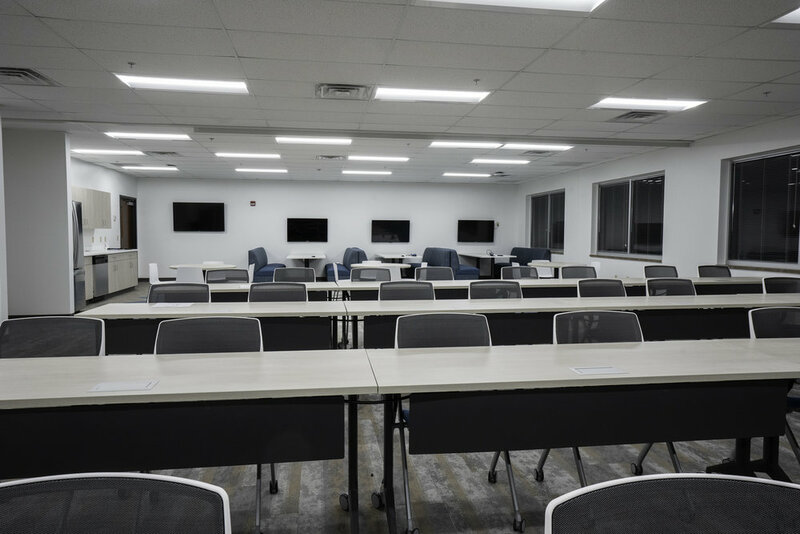 The Cooper-Standard project involved installing new glass walls for private offices and conference rooms. 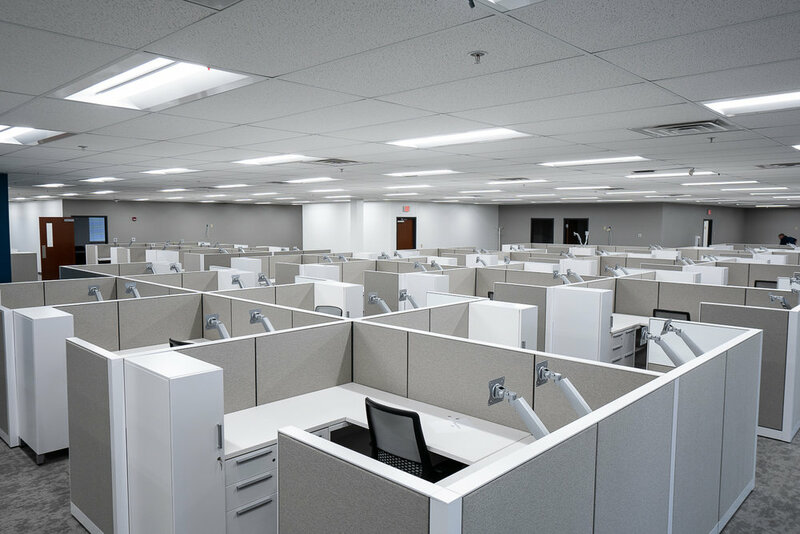 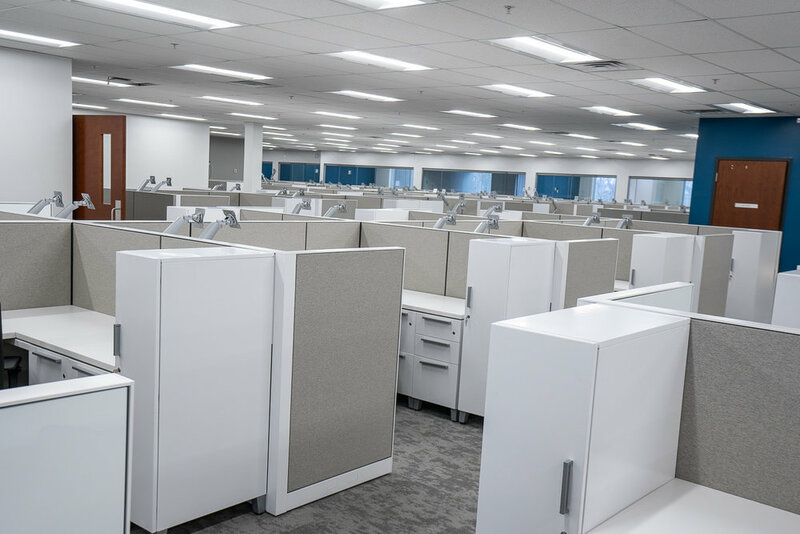 The workstations were AllSteel U-shaped cubicles with storage lockers, riser surfaces, and monitor arms. 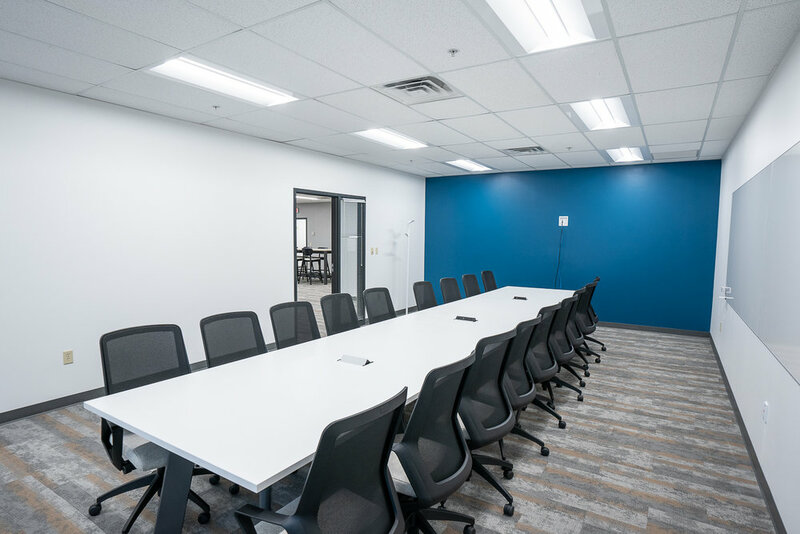 The private offices and conference rooms were Approach brand with riser surfaces in all of the private offices and some of the conference rooms. 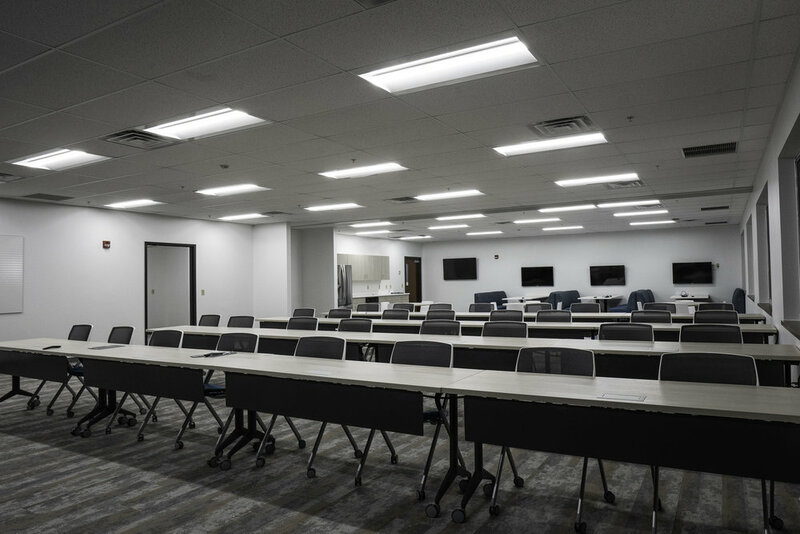 The training room was also Approach brand with the tables having power that ran through each table and modesty panels. 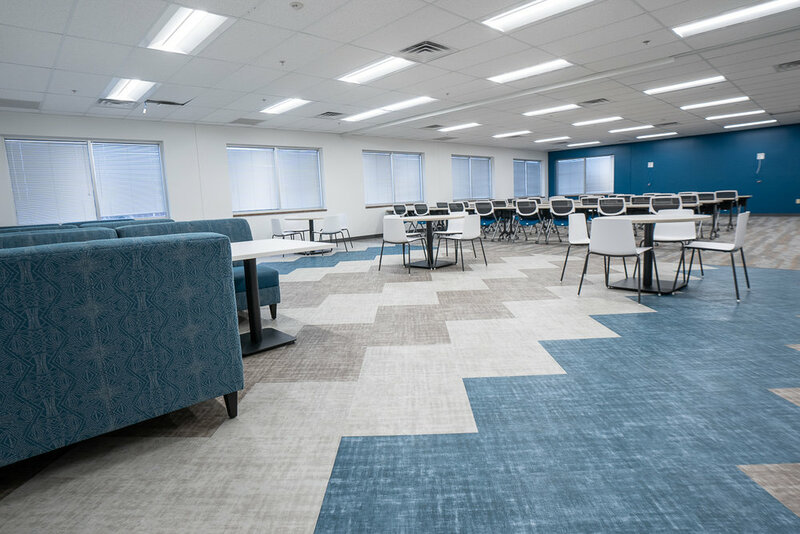 All of the power grommets placed in the tables were custom cut on site. 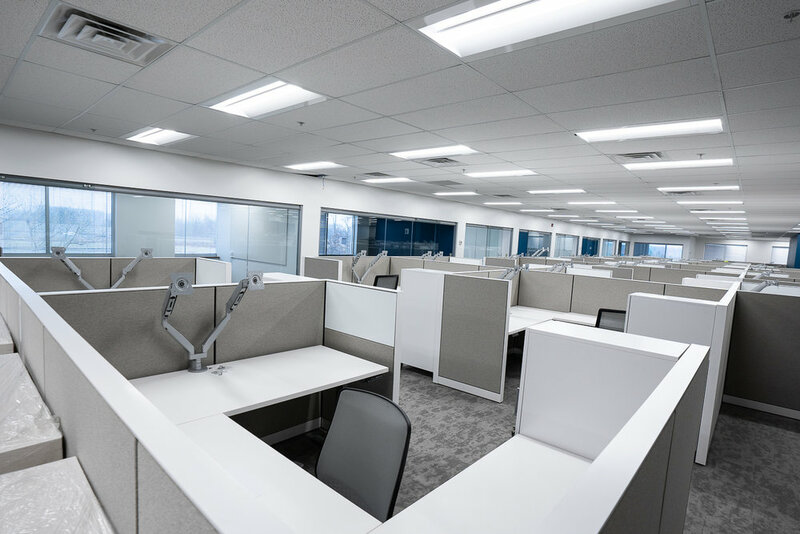 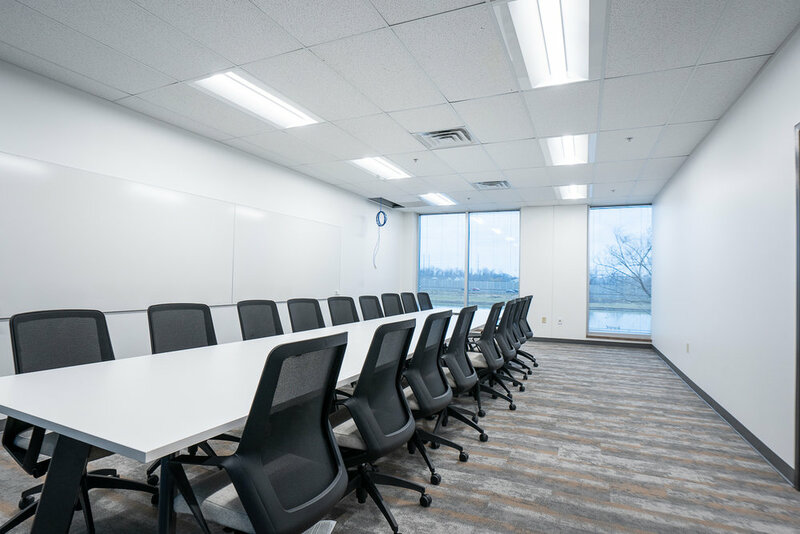 The last part of the install included the Hush phone booths, couches for the open collaboration and cafeteria areas, and hanging white boards in multiple conference rooms and . 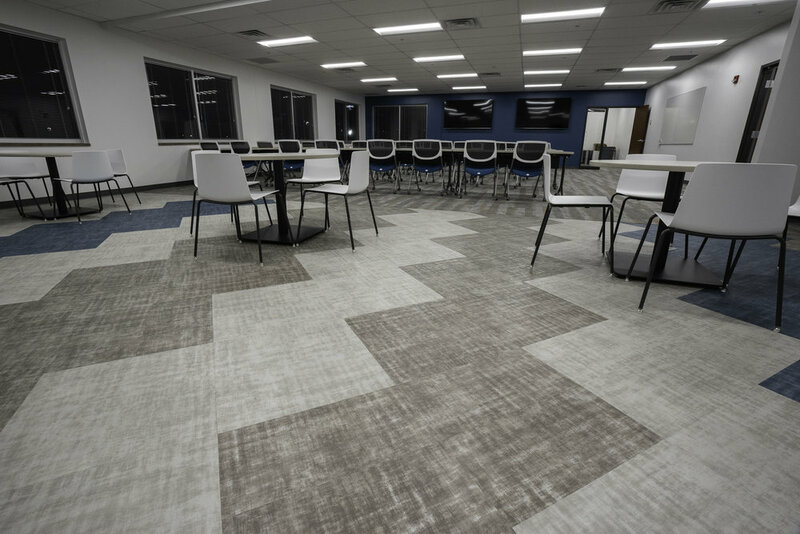 This project was completed within a total of three and a half weeks.